This recycling of tread designs is not unusual, as it allows the parent company to get extended use out of their expensive tire molds while continually developing new ones with incremental improvements. A good example of this comes from another of Continental’s tire divisions: General. 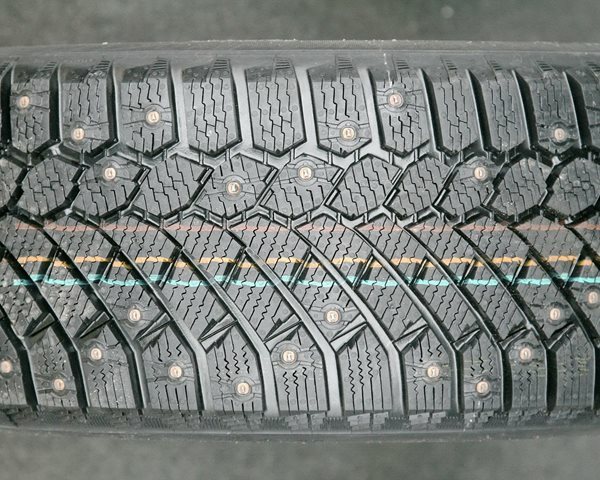 Their Altimax Arctic winter tire still offers excellent performance for North American consumers by using the tread design of a Gislaved tire that is now three generations old: the Nord Frost 3. Historically, the ContiIceContact has been an impressive tire in Norwegian Auto Federation (NAF) testing. It debuted in 2010, replacing the Winter Viking, and was praised for its ice performance and relative quietness. It finished a close second behind the Nokian Hakka 7 in a field of 13 studded competitors in that year’s test, primarily due to the Hakka 7’s superior wet traction and lower rolling resistance. The following year, it beat the Hakka 7, on the strength of outstanding ice performance. As in real life, ice, snow, and even pavement conditions vary dramatically and the NAF tests over a variety of conditions, so relative performance can change from year to year. In 2012, it ended up in a three-way tie for first place with the Hakka 7 and Goodyear Ultra Grip Ice Arctic. The ContiIceContact excelled on ice and snow, delivering the shortest stops of any tire on ice and the best lap times on the ice course. 2013 saw the introduction of the Nokian Hakka 8 and the Pirelli Ice Zero, and the ContiIceContact was pushed down to third place as a result. These latest generation tires easily outperformed it – and all the other tires in the test – on the ice conditions that year. That year also saw the introduction of the Gislaved Nord Frost 100. The NF100 tied the ContiIceContact for third place. The ContiIceContact may have had a slight edge over the NF100 in winter conditions that year, but the NF100 made up for the slight deficit with outstanding wet road braking. The ContiIceContact returned to form in 2014, tying for second overall with the Ice Zero, just behind the Hakka 8. In its final year before being replaced by the ContiIceContact 2, it actually topped the test results in ice braking performance over the Pirelli and Nokian tires, while providing a lower noise rating and similar performance in all other categories. The NF100 lagged the top tires in ice performance that year, but demonstrated excellent snow and wet performance. Visually, the only apparent difference between the old ContiIceContact and the new Nord Frost 200 is the studs. 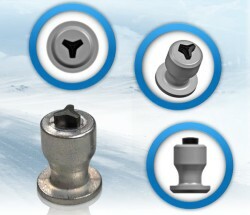 The ContiIceContact used Continental’s Brilliant Plus “dog bone” stud design, while the Nord Frost 200 will carry over the “tristar” stud from the Nord Frost 100. Because the Nord Frost 200 utilizes 35% more studs than the Nord Frost 100, expect a dramatic improvement in warm-ice braking performance. With outstanding performance in all winter conditions and less tire noise than its closest competitors, the ContiIceContact was arguably the best winter tire for many drivers. So it’s great to see it return under a different name that is available in Canada; online at PMC Tire, or through your local Gislaved dealer. The expectations for the new Nord Frost 200 are high. Stay tuned to this site to see how it performs in the upcoming 2016 NAF winter tire test. 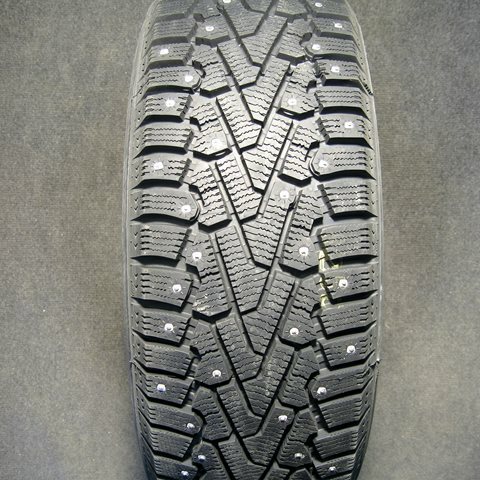 Concerning the Nord Frost 200: does this tires come without studs and if so how do you rate it. Also how long do the studs last if I drive on regular pavement without snow. How noisy are the studs. I have never driven with studded tires.I live in Montreal Quebec Canada. These tires are available without studs. 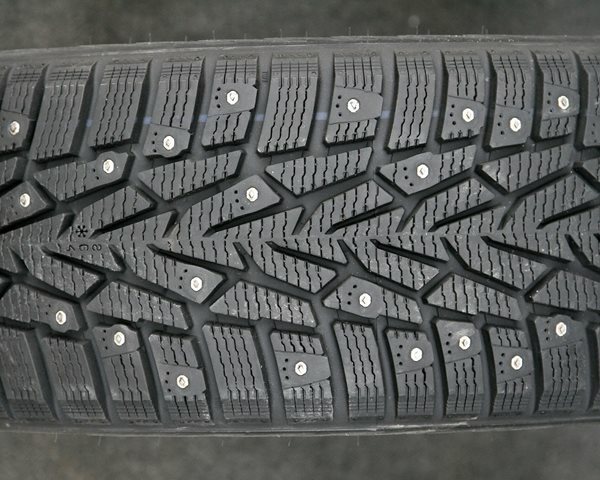 Without studs, the NF200 will be comparable to most name-brand unstudded studdable winter tires: not quite as good as a top studless tire on ice, but just as good in snow, with better wet and dry performance. 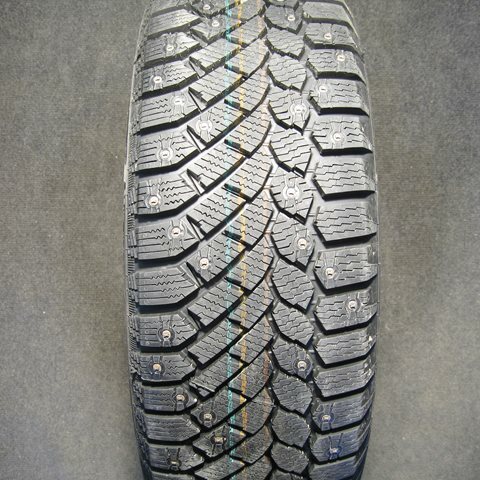 The studs will typically last to about 8/32″ of tread; about as long as the tire is suitable for winter. Generally 30,000 to 50,000 km. 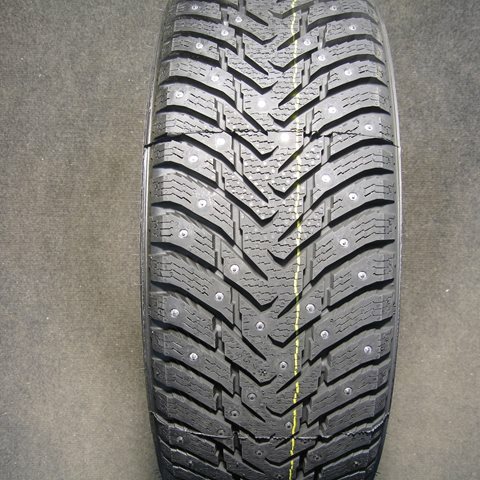 After which, the tire should be suitable for another 30,000 to 50,000 km of summer use. The lifespan is massively dependent on vehicle alignment and driving style. 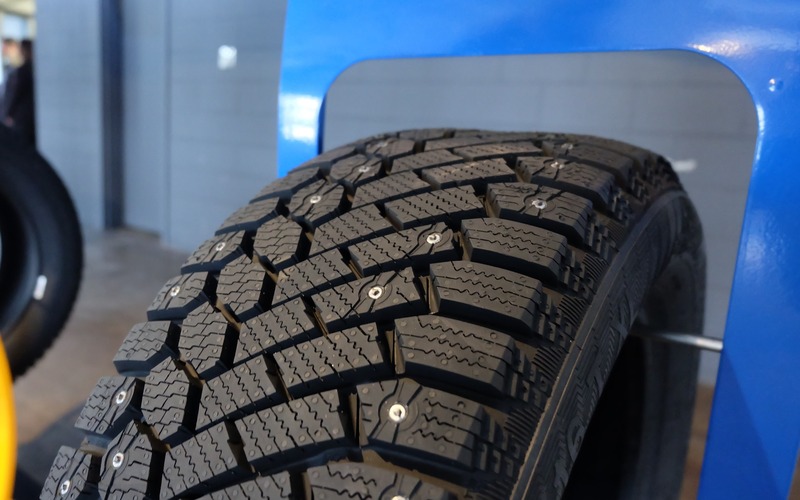 In terms of volume, studded tires can be anywhere from barely noticeable to almost unbearably loud, depending on the vehicle, the tire, the stud installation, and the way the tires are broken-in and used. Unfortunately, it’s difficult to say for sure how loud any tire will become during use. Conservative driving with a properly-aligned vehicle tends to push the studs into the tire and keep them quiet, while aggressive driving tends to bring them out and sharpen them. 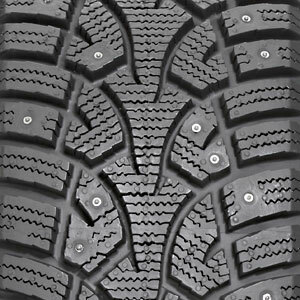 The latter results in excellent ice traction but a lot of noise and a shorter stud life as the studs will begin breaking off before the tread is worn. Please see our articles on stud installation and maximizing stud life for more information. I’ll try to answer these questions more thoroughly in future posts. Just got my Gislaved Nord Frost 200 tires – made in Russia! They could be shifting production of this tire to Russia, or it’s possible that they’ve always manufactured certain sizes of those tires in Russia. If you look at the manufacturing locations on a list of sizes on a Tire Rack page, there will often be a variety of countries listed, depending on size. I wouldn’t expect quality or performance to be any different than one made in Germany, but that would depend on Continental’s global quality control process. My father’s NF200 in 225/60R17 that he got in the fall of 2016 were also made in Russia. The 205/55R16s in the 2016 NAF test were made in Germany. My 205/60R16 NF100s were made in Germany. Manufacturing location was not specified in the 2017 test. 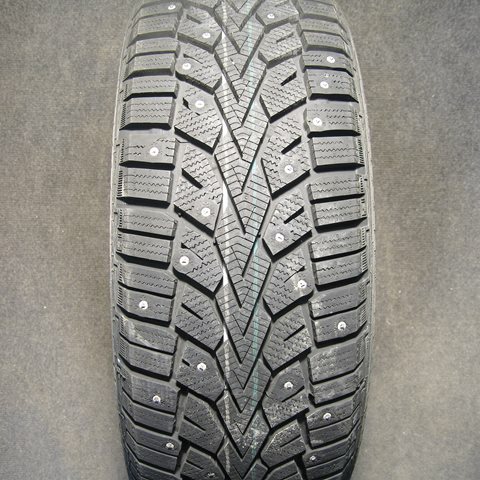 Pirelli Winter Ice Zero (studded) or Gislaved Nordfrost 200 (studded). We had Gislaved on Odyssey 2006 for one winter and it was a great fit. It seems like Pirelli will last longer than Gislaved… Your opinion? Is the Ice Zero still available? Must be older stock. Not a problem if it’s been stored properly, but you might want to check the date code. I’d lean toward getting fresher rubber if availability and cost are similar for the NF200. However, the Ice Zero did outperform the NF200 the two years they were directly compared.